WHY is it 1.5 mill though? Painted by someone famous? Charity? Just because they can? Yeah… no. Just… no. Eugh. … You could buy a HOUSE for the Cost of that painting. Hell, You Could buy a Hello Kitty House for that much. This is horrendous even if it weren’t Hello Kitty. I like the layering still 1.5 million is too steep and not worth it. To be worth that much the artist need to be on the line of an Andy Warhol, an artist that defines a movement in art and culture. I just do not see it in him. If I had that much money I could buy a Cessna and do in Hello Kitty colors and buzz Mr. HKH house. Ps. just because one can list it on Ebay at an high price it doesn’t mean it worth a high price. I seen too many overpriced Hello Kitty items on Ebay. In addition I work the estate sale circuit and peeved when somebody uses Ebay listing as a basis for pricing estate items. Ps jus tbecase on ecan list it for 1.5 million dose not mean it worth a 1.5 million dollars. As Acton says, the only way it’s worth $1.5M is if and only if it’s by someone as genre creating/defining as Andy Warhol or Jackson Pollock. I’m an art lover and all, but this is super ugly. 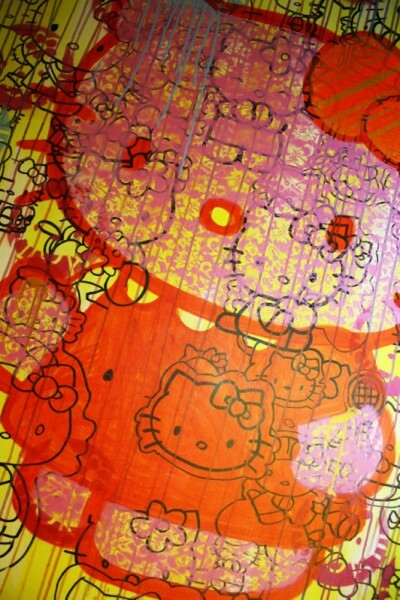 Hello Kitty is for chicks and those who are gay , but that is cool art. 1,000,000!!!???? Who the hell appraised that POS!? That’s the thing with art, it’s completely subjective. Personally, I don’t particularly like this nor do I feel it’s worth $1.5 millon, but I’m sure someone who loves this and has enough money to blow will be happy to buy it. 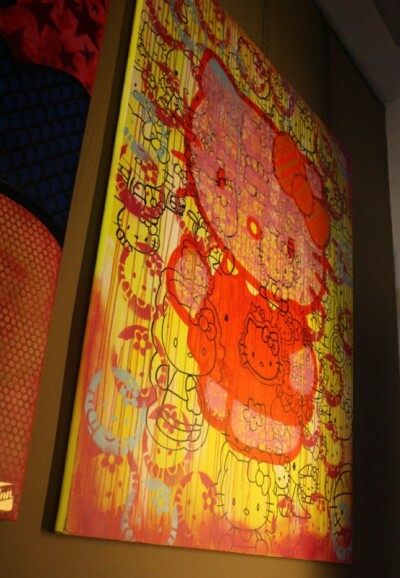 Hahaha, this not 1 million but a Dillon painting, sold for 1100$. You should have followed the ebay-link before reacting! Why pay for something you can make yourself~? Sold for $1100, still ridiculous! i would buy it if i was bill gates.